Floyd's of Leadville just confirmed for me that CBD pain management and relaxation supplements are the new bacon. From oils to gum drops to - hey, whaddaya know? - protein powder, you can get CBD-infused everything now. A few years ago I was getting giddy over bacon ice cream. 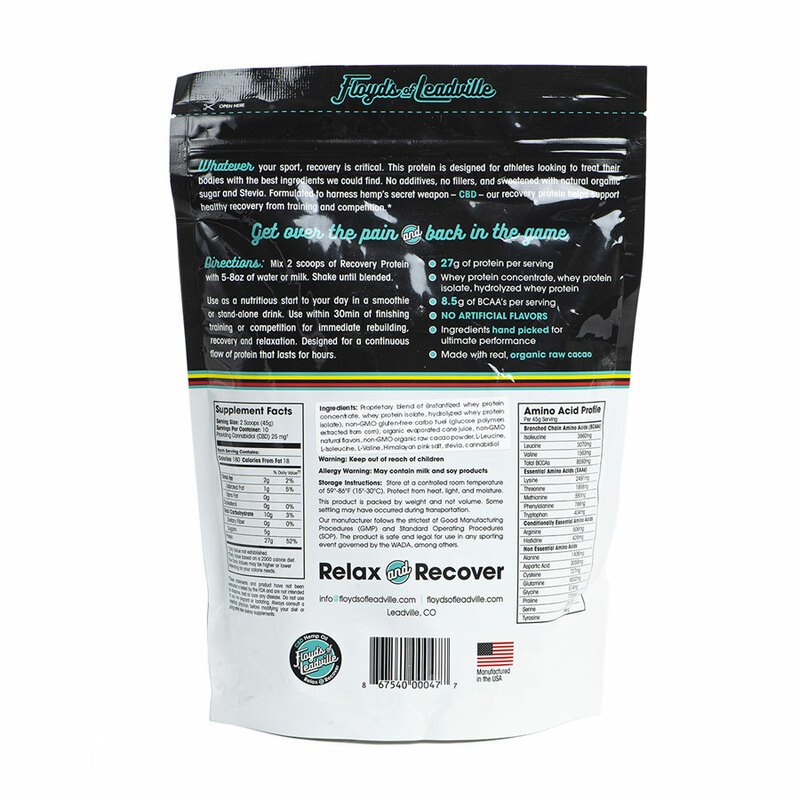 Today, I'll take one bag of Floyd's of Leadville CBD Recovery Protein, please. Well, make that 2 bags of Floyd's of Leadville CBD Recovery Protein. One Chocolate, one Vanilla. 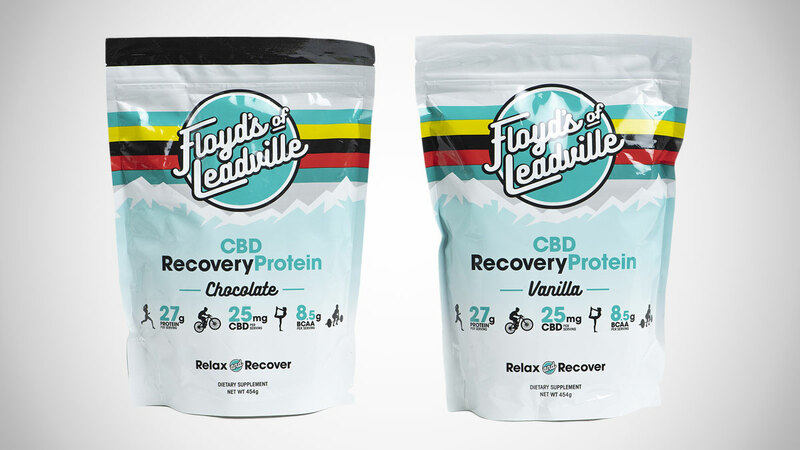 In their CBD Recovery Protein, Floyd's of Leadville combines a healthy, 25mg-per-serving dose of cannabidiol with additive- and filler-free organic whey protein. The cocktail of whey protein concentrate, whey protein isolate, and hydrolyzed whey protein provides 27 grams of protein per serving. A second blend of isoleucine, leucine, and valine boosts the powder with 8.5 grams of BCAAs as well. Floyd's of Leadville uses natural organic sugar and Stevia as their CBD Protein sweetener. Each 2-scoop, 45-gram serving has 180 calories, 2 grams of fat, and 5 grams of sugar. Chocolate and Vanilla CBD powders come in 10-serving bags, equating to about $4 per serving for your CBD-protein recovery tag team. To get a little farther for the cost, I might use some of my standard whey protein powder, and add just 1 scoop of Floyd's, since 12.5mg is still a decent amount of CBD for a single dose. Depending on what you're addressing with CBD though, the high cost may be worth the full 2 scoops and 25mg.